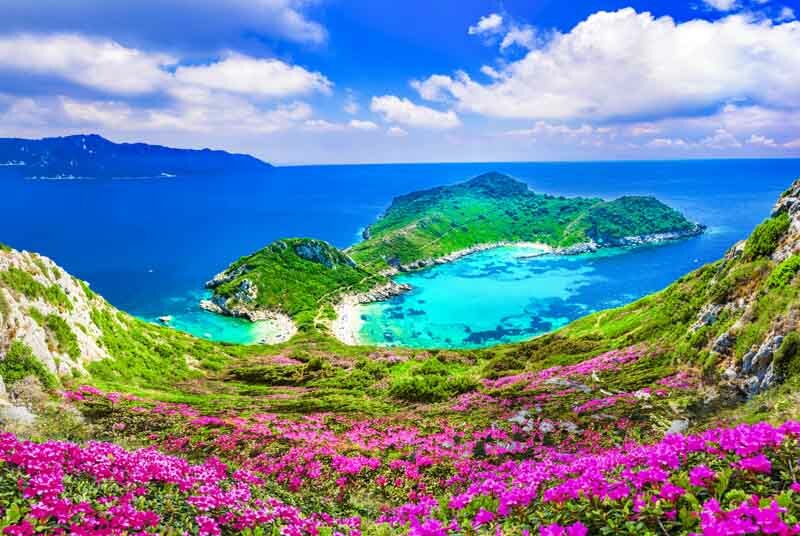 With an abundance of stunning islands scattered amidst the mystical Ionic Sea, it’s no wonder the Emerald Isles are among the most desired cruising grounds in the world. 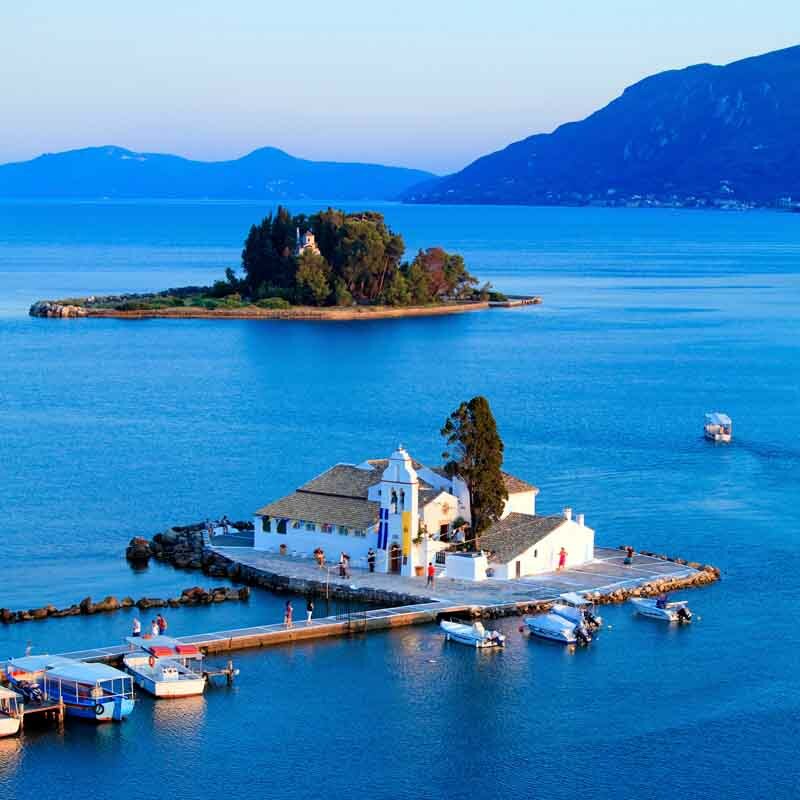 The archipelago lies just off the western coast of Greece, luring travelers from around the globe with its remarkable history and legends of ancient mythology. While Mykonos and Santorini are notably the most famous of the Greek Islands, you’ll find a myriad of other destinations that are lesser known, and blissfully less crowded, making travel by yacht charter the perfect choice. The Cyclades feature whitewash homes with Aegean blue domes and crystal clear waters in every shade of emerald, turquoise, and cobalt. It’s a mesmerizing combination of designer boutiques, clifftop spa hotels, and sophisticated clubs along with stunning beaches, rustic fishing villages, and ancient historical sites. 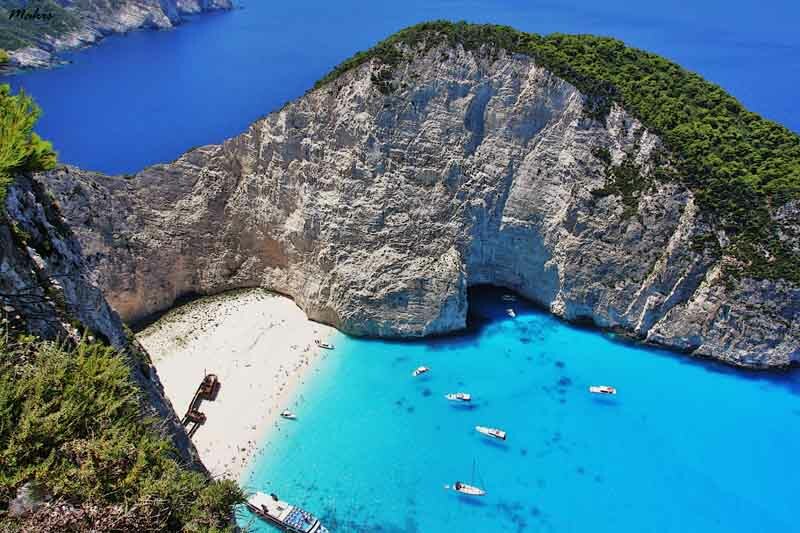 The Ionian Islands offer a very different environment, with lush green landscapes, mountainsides covered in orchids, pink bougainvillea, cypress trees, olive groves, and serene aquamarine waters. With its rugged shoreline and gorgeous beaches, combined with favorable winds and protected anchorages, cruising the Ionian is a dream destination. 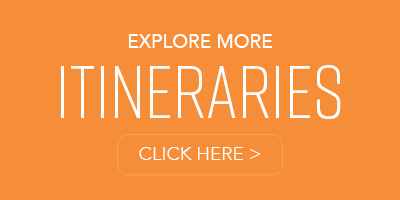 This suggested itinerary offers an authentic Greek experience, encompassing beautiful scenery, rich history, and striking crystalline waters. Meet your yacht in Corfu just beyond the Old Fortress, a centuries-old castle perched atop a rocky headland. After greeting your captain and crew, head ashore to explore the ancient city. 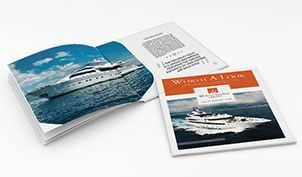 Grab a bite in Garista Bay, a popular gathering point for some of the most elite yachts in the world. Chartering around Corfu offers endless opportunities to suit any desire, from touring ancient ruins and historical landmarks, to taking in the nightlife at Corfu’s famous Pink Palace complex. Nature enthusiasts can explore walking trails and old-world mountain villages, and leave footprints on pristine beaches. After an adventure-filled start to your journey, the comfort of your yacht awaits. As you cruise to Antipaxos, prepare for peaceful isolation and solitude. This tiny island offers brilliant-white beaches, striking shoreline scenery, and tranquil waters, making it the perfect spot to anchor-out and take it all in. 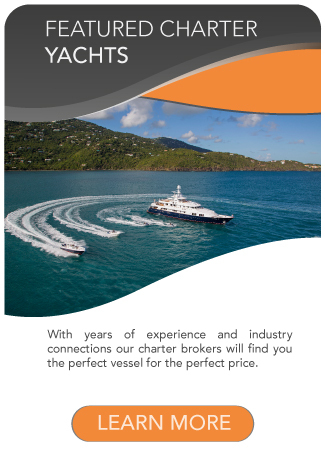 Make use of your yacht’s water toys, relax on the unspoiled beach, enjoy a picnic on land or a delicious meal on deck, expertly prepared by your chef. Continue your voyage south towards Ithaca, and along the way, stopover and take the tender to the uninhabited Atokos Island for a tranquil respite before heading towards the bustling island of Zakynthos. 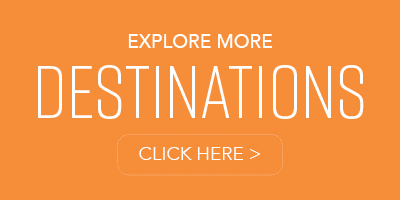 Here you’ll enjoy a gorgeous landscape, exceptional beaches, and a scintillating party scene. 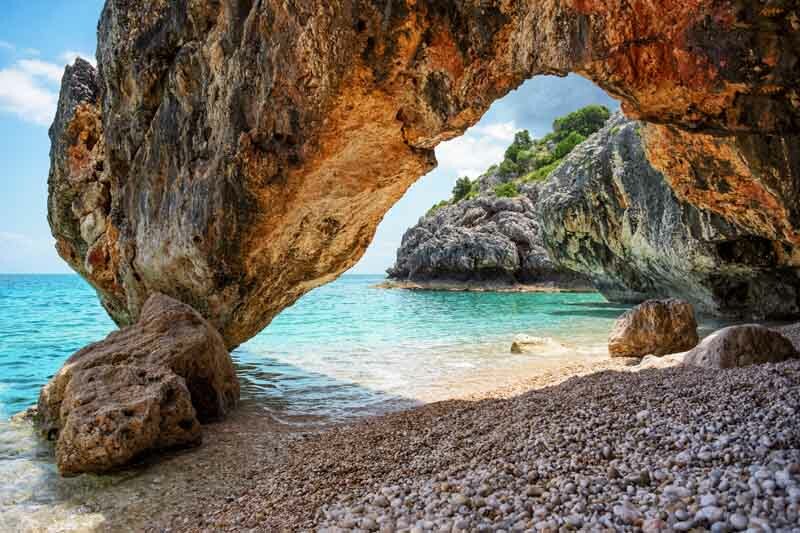 Swim at the famous Shipwreck Beach, watch the sunset from the cliffs of Keri and Kryoneri, visit the famous Blue Caves, and then absorb the exhilarating nightlife at one of the island’s many hot spots. 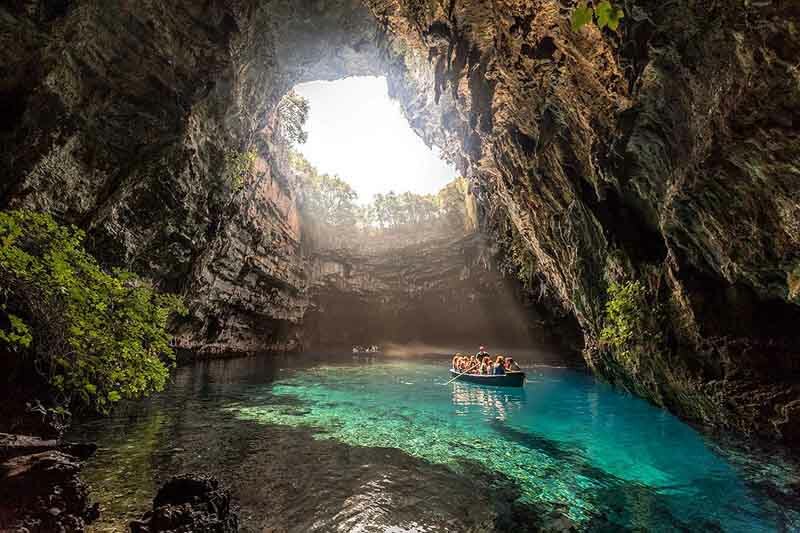 The largest of the Ionian Islands, Kefalonia is home to exotic beaches, picturesque seaside villages, medieval castles, and beautiful monasteries, enticing travelers from around the world. Yet despite its popularity, its large size allows the island to remain a quiet, laid-back option even at the height of the season. On land, visit the fun-loving capital of Argostoli, the charming town of Lixouri, Mt. Enos, the highest mountain in the Ionian, and world-famous beaches on the south side. 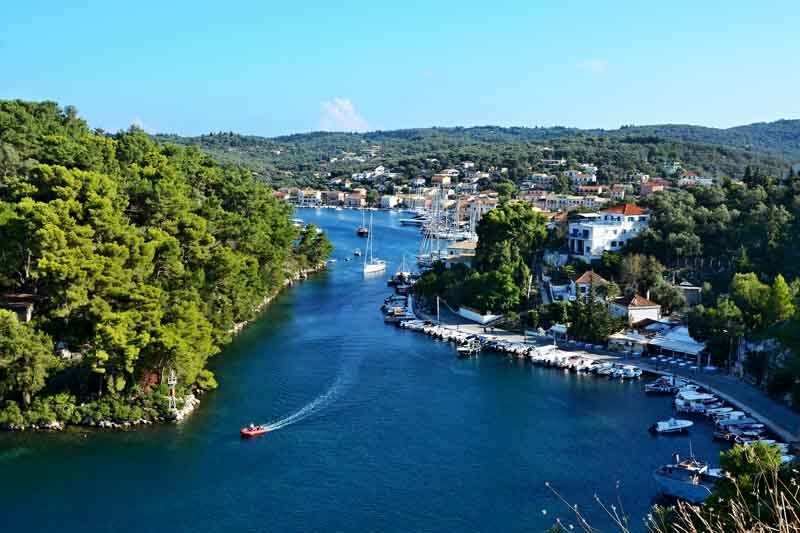 Cruise onward to Paxos, a tiny island that’s off the beaten path, and as such, offers a tranquil haven surrounded by a clear aquamarine sea and pristine beaches. The landscape is covered with lush trees and shrubs, easily explored on foot for a relaxed, unhurried hike. The west coast of the island is largely uninhabited and features dramatic limestone cliffs that drop onto bleached white shingle beaches, offering stunning views from the top. Enjoy a cocktail on deck as you take in the panoramic views. As your journey winds down, head back to Corfu, where you can find a secluded spot to enjoy a toast to your memorable holiday. Then head ashore for some souvenir shopping and indulge in one last meal. It’s an authentic Greek experience like no other. The mountainous island of Lefkas, where large, sheltered bays and offshore inlets make it a favorite destination for yacht charters. A range of hills extends across the island ending at Cape Doukato, the southernmost point and legendary site in Greek mythology. 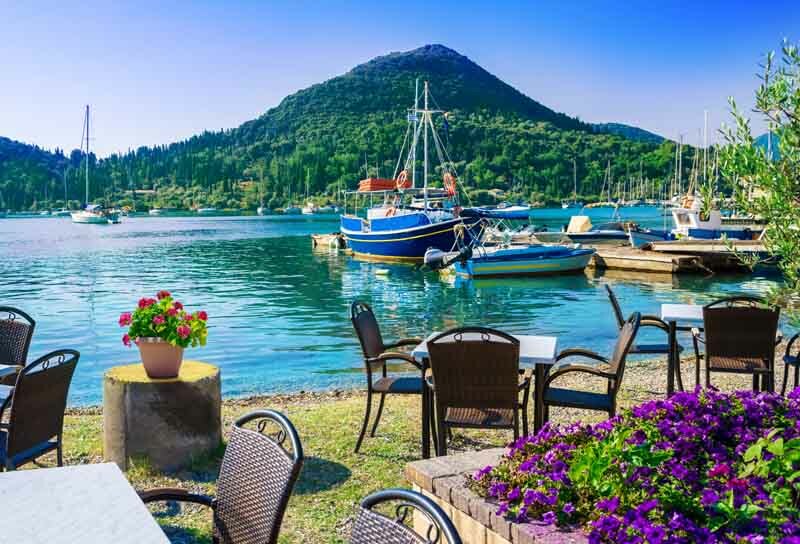 Explore the long stretches of golden beaches with rolling mountains in the background, and dock in Lefkas town for sunbathing, swimming, and windsurfing.